Four Solomon Islands journalists joined 14 PNG journalists in Port Moresby for a four-day workshop on skills for investigative reporting, including training in assertiveness and personal communication skills. The workshop was developed and delivered for the Centre for Democratic Institutions following a request from the Media Council of Papua New Guinea for programs to help PNG journalists expose corruption and scrutinise government in PNG. 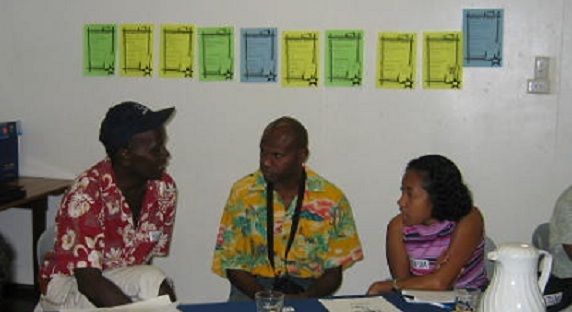 With help from the Media Association of the Solomon Islands, the APJC was able to include Solomon Islands journalists in the program.